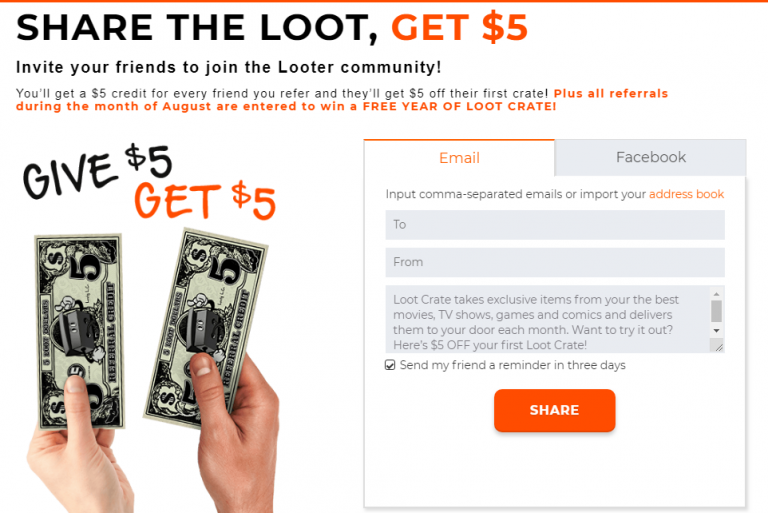 Loot Crate is a monthly subscription box for gamers. 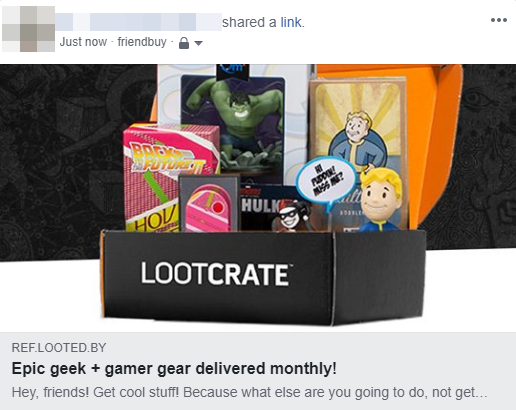 Each month members receive collectibles, shirts, gadgets and more. 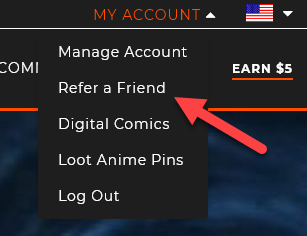 You subscribe online and select your favorite type of box (gaming, anime, wearables, etc). Prices usually go for less than $20 a month. 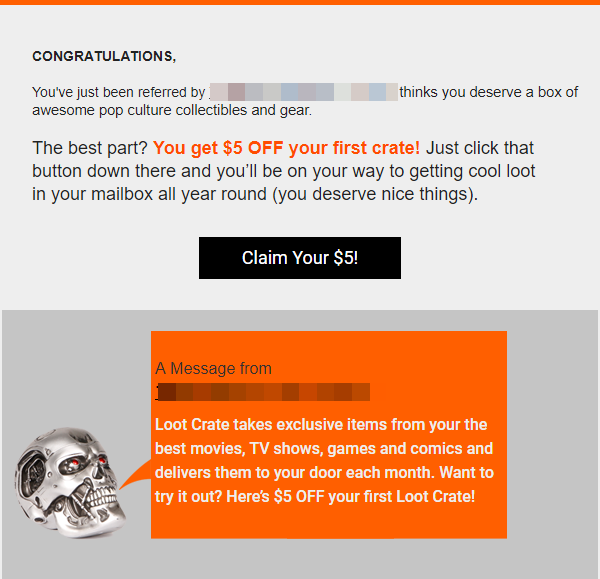 With extraordinary images, branding, double-sided rewards, and an enjoyable process, we gladly give Loot Crate’s referral program an A+. 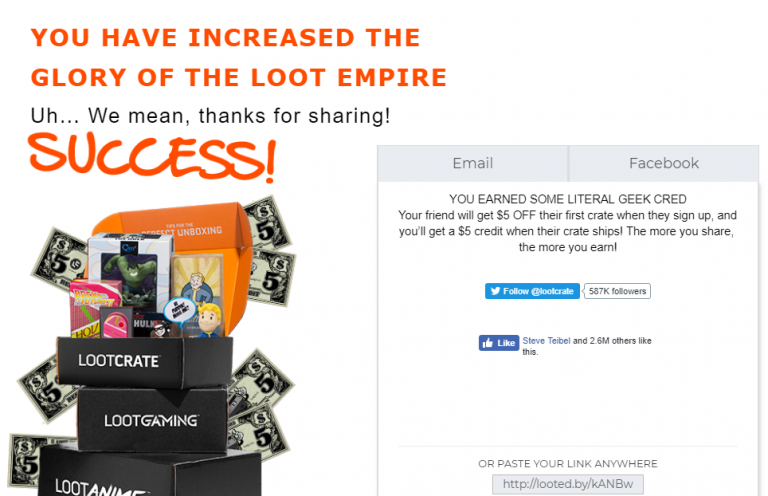 Loot Crate clearly knows their target audience and offers a fantastic experience that’s sure to produce results. 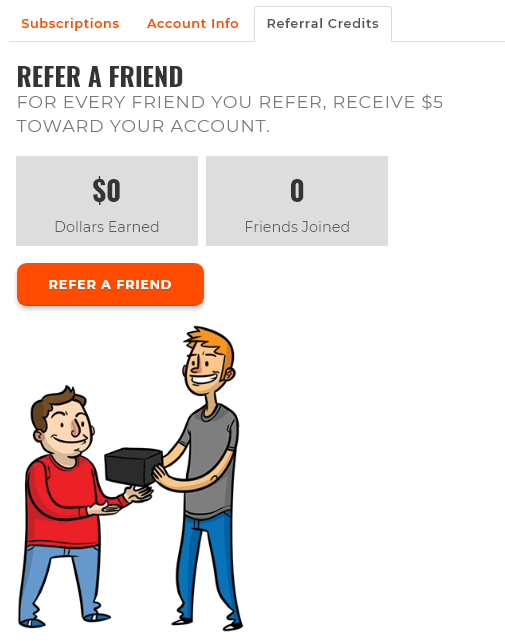 Participants and referrals alike receive $5 off their subscription when a referral signs up for their first crate.